The period from June 1st through November 30th is considered "Hurricane Season" here along the Grand Strand. This generally means that hurricanes are more likely during this period than at any other time of the year. Sometimes many years go by without any developing hurricanes heading our way; and some years there are a few Atlantic Ocean hurricanes that we need to watch. Usually, hurricane predictions are published in April each year, giving the selection names of the storms, should they develop, as well as the number of predicted Atlantic Ocean tropical storms headed our way, and with the number of them predicted to develop into hurricanes; additionally with the number predicted as likely to be intense hurricanes. Keep in mind that all predictions are just that, predictions. 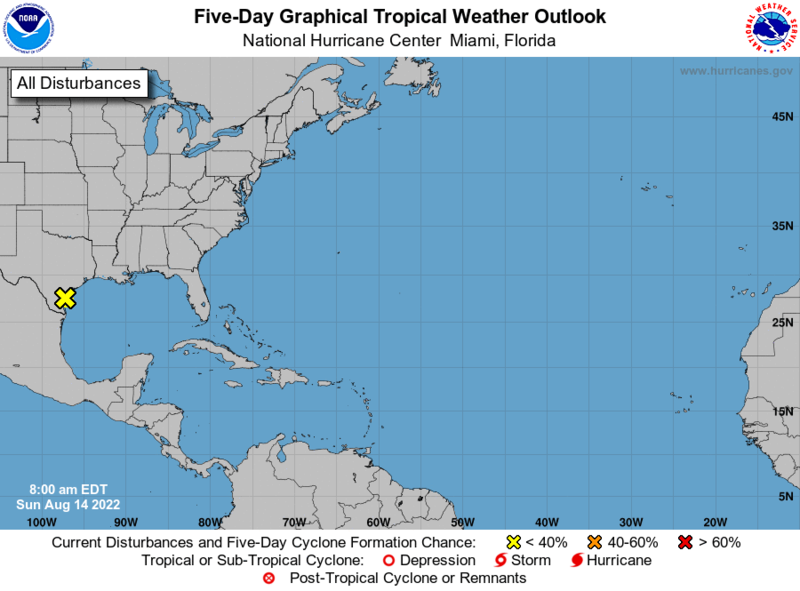 If you see a current hurricane threatening the Myrtle Beach area, go directly to the National Hurricane Center for up-to-the-minute news and detailed graphics about hurricane position, size, strength, and projected path. Also, if you're a local or headed this way very soon, check the local advisories by the county. Home | Monthly Temps | Local Map | Traffic Cams | Copyright ©1999-2015. All rights reserved.